Boca Raton Florida is the southern most city in Palm Beach County Florida. Boca Raton is known for it affluent neighborhoods, luxury shopping and exclusive beachfront homes, resorts and Beach clubs. Boca Raton Florida consists of Incorporated Boca Raton which lies east of I-95 and unincorporated Boca Raton, which lies west of I-95 and beyond SR-7 (CR-441). Boca Raton is populated with many northerners who vacation there during the harsh northern winters and full time residents predominantly from places such as New York, New Jersey, Connecticut and Massachusetts. Boca Raton is also home to Florida Atlantic University which is among one of the best private Universities in Florida and the United States. Boca Raton is also a prime area for couples throughout Florida and the United States to host their weddings. Boca Raton is home to several lavish wedding venues, hotels and resorts that can host any type of wedding from budget do it yourself weddings to over the top ultra luxury weddings costing hundreds of thousands of dollars. Boca Raton's oceanfront, proximity to Interstate 95, the Florida Turnpike and major North South and East West routes make it a convenient choice for any bride and grooms looking for an easy to navigate wedding location that family and friends can find easily. Boca Raton has several options for romantic wedding venues to suit a wide variety of wedding budgets. The wedding venue a bride and grooms choose is crucial to setting the mood, tone and style of wedding a bride is envisioning. Having a selection of venues to suit the needs and budgets of brides planning a wedding make Boca Raton, an ideal city in South Florida to plan a wedding. Boca Raton's most popular affordable wedding venues are Lakeside Terrace, located at 7880 Glades Rd, Boca Raton, FL 33434. Lakeside Terrace is next door to Hilton Suites Boca Raton for easy affordable accommodations and right next to the Florida Turnpike. Only a few miles west of I-95 it is easy to get to and parking is more than ample. Pavilion Grille, Located at 301 Yamato Rd #1201, Boca Raton, FL 33431 is another affordable option and really a beautiful wedding venue is another affordable option and really a beautiful wedding venue. Located east of I-95 it's easy to get to and provides a really amazing wedding day experience for couples seeking a budget friendly, but not like a hall wedding venue. Couples choosing Pavilion Grille for their wedding day will also be happy with the closer proximity to the beach and several wooded parks for bridal portraits. Boca Raton also has a Hyatt Boca Place on Federal highway, just south of Palmetto park road that is a higher end venue that offers a luxury wedding venue feel without breaking the bank. Its located close to the nightlife at Mizner Park and is just a few miles east of I-95. The Addison is a high end luxury wedding venue located just off Federal Highway and a few blocks south of Palmetto Park Road. It's a beautiful venue and very popular among brides that have a bigger budget to work with. The only Caveat is The Addison has a strict vendor list and although they do allow outside vendors, they charge extra. Guess someone has to make sure they make their under the table money! The Boca Beach club is probably the most amazing Wedding venue in Boca Raton. Located among the beach on A1A, the Boca Beach club is a Wedding Photographers paradise. The accommodations, the facilities, the staff, and architecture exude luxury. This is the place to host your Boca Raton Wedding if you have the budget or an extremely large wedding. 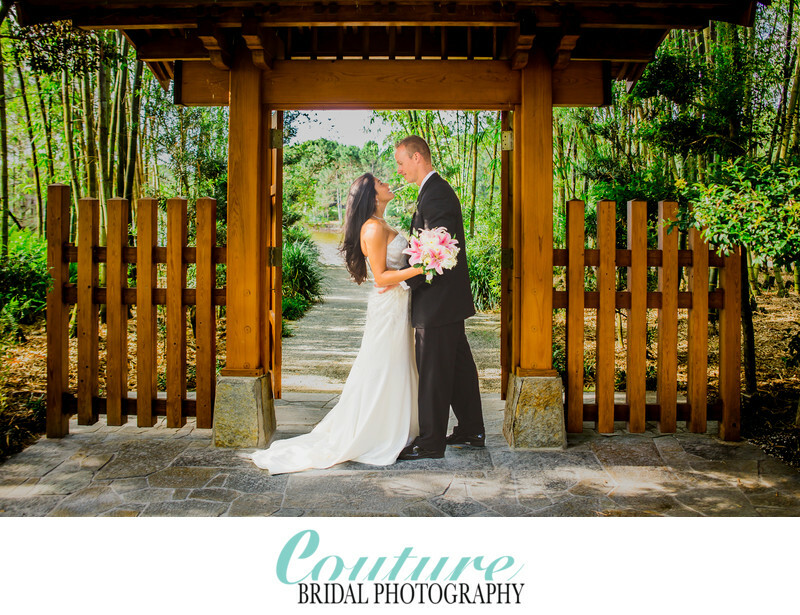 Couture Bridal Photography is Boca Raton's premiere Wedding Photography studio. Located at 137 East Palmetto Park Road Boca Raton, FL 33432 in the heart of Boca Raton and steps away from the Addison and the Boca Resort, we are the preferred wedding photography choice of brides and grooms in Boca Raton, Florida. Recognized as one of the top 10 Wedding Photography studios in South Florida with a team of the most talented Boca Raton Wedding Photographers, couples choose us over many of south Florida and Wedding photographers serving Boca Raton for our unique and distinct Wedding Photography style. Alfredo Valentine, owner and principal photographer at Couture Bridal Photography has studied and practiced photography to a professional level for over 24 years before deciding to create and found Couture Bridal Photography. Couples throughout the United States and worldwide describe Couture Bridal Photography, as a source of elegant, romantic and timeless Wedding day story telling. With an artistic documentary approach with a fashion forward editorial approach, Couture Bridal Photography has created the most easily recognized proprietary style of capturing wedding day moments and editing. 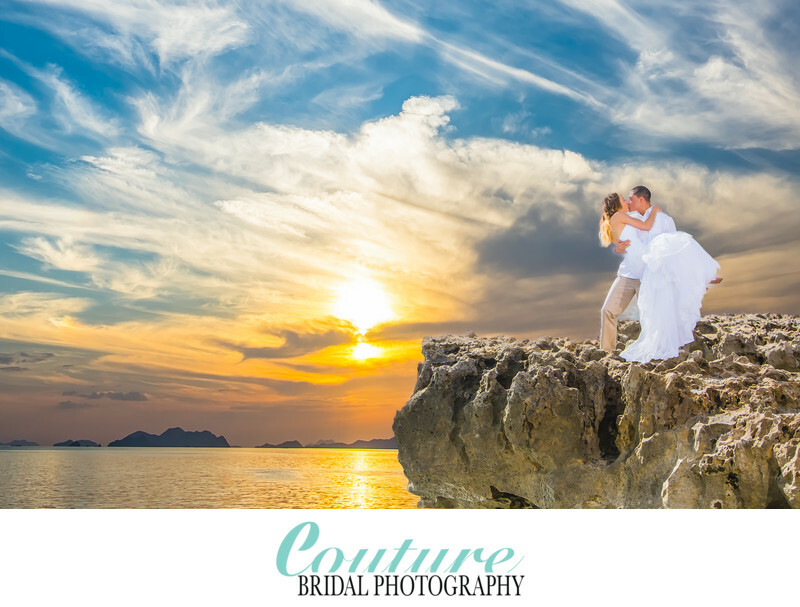 Couture Bridal Photography has become the preeminent wedding photography studio couples throughout Boca Raton and destinations worldwide choose for their wedding photography. When couples think of Boca Raton and wedding photographer they will select. They envision glamorous high end editorial wedding magazine images with amazing architecture in the background. 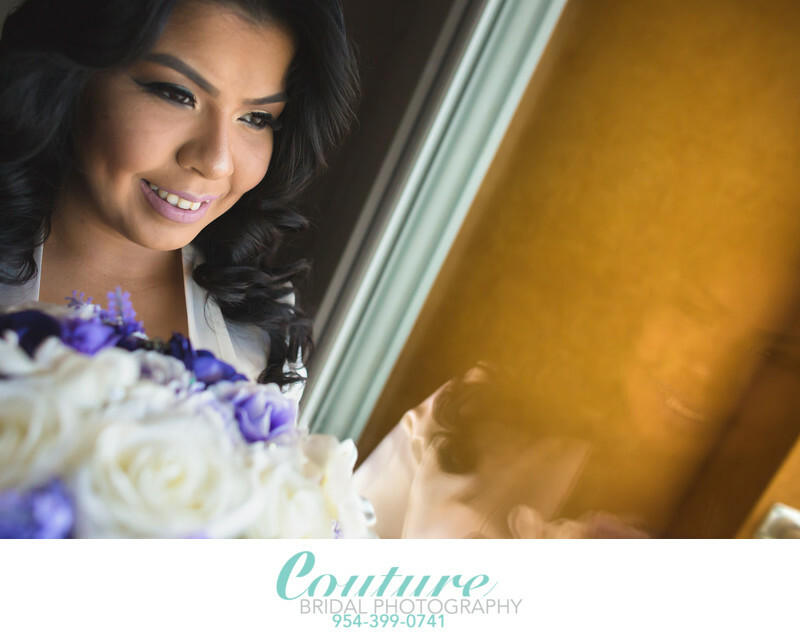 Couture Bridal Photography is the perfect choice for the best Boca Raton Wedding Photographers if you're looking for glam and glitzy editorial style bridal portraits and artistic documentary wedding photography. The style of wedding photography created by Alfredo Valentine is a mix of photojournalism, fashion, glamour, editorial, illustrative and contemporary with a touch of fine art elements. The combination of various styles of photography allow us to tell the most compelling and emotionally charged story telling wedding photography anywhere. Brides worldwide book Couture Bridal Photography for their wedding photography throughout Boca Raton, Delray Beach, Town of Palm Beach, Fort Lauderdale, Miami, Coral Gables, The Florida Keys and throughout many states as well as destinations in the Caribbean and South America. Couture Bridal Photography is also fully insured as most Wedding Venues throughout Boca Raton and worldwide require and offer full photography services including professional Prints, Canvases and hand made Italian Wedding Art books by Graphistudio. The cost of wedding photography in Boca Raton ranges based on a wedding photographers skill, experience, style and popularity. Couples searching for wedding photography in Boca Raton will find prices ranging from $1000 to well over $10,000 for wedding photography based on additional factors, such as how many locations will the wedding days events take place at, hours of wedding photography coverage, and how many guests. Additional costs might apply to Indian weddings or Jewish weddings which require additional photographers or time to cover wedding traditions or rituals over a period of several days. 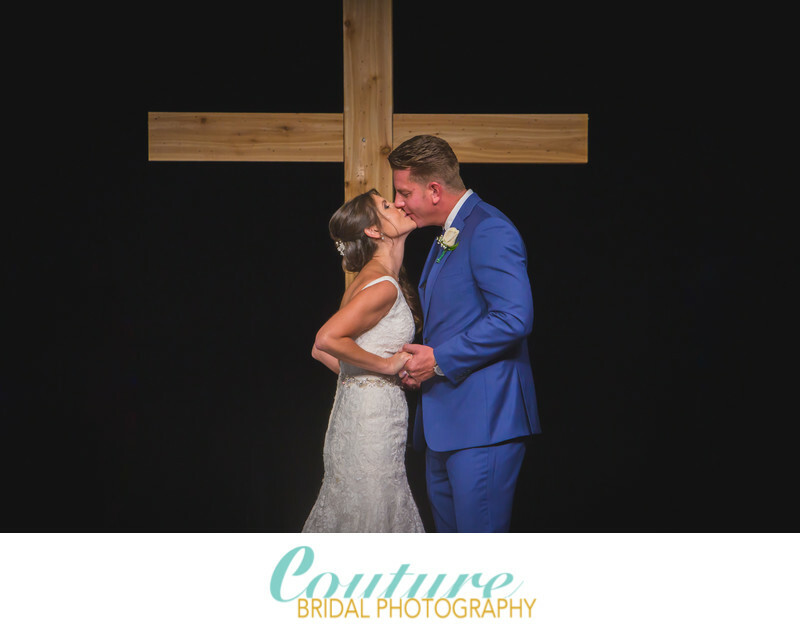 Brides and grooms seeking the best wedding photography values and bargains choose Couture Bridal Photography for the lowest wedding photography costs in Boca Raton. Although Couture Bridal Photography is the most experienced and skilled group of wedding photographers in Boca Raton, we offer the best pricing without sacrificing quality and service. Brides and grooms choose Couture Bridal Photography for their luxury weddings at the Boca Resort and Addison for the best story telling wedding photography at the best prices. Additionally, Couture Bridal Photography is the only Boca Raton wedding photography studio offering wedding photography payment plans and customized photography pricing to work with most couples needs and budgets. The best time to book your Boca Raton wedding photographer is immediately after booking your wedding venue. We typically get booked 12-18 months in advance of a wedding, as the most sought after wedding photography studio in Boca Raton. Finding a popular wedding photographer that is available for hire on your wedding day can be quite a challenge if you wait for the last minute. Additionally, some wedding photographers in Boca Raton, might add charges for last minute bookings. Another reason to book your wedding photographer far in advance of your wedding day, is having the time to meet with and learn more about your wedding photographer. You may also want to have an engagement wedding photography session with your photographer to create customized wedding invitations and Save-the-Dates with some of your engagement photos. Couture Bridal Photography is the only Boca Raton wedding photography studio to offer substantial discounts on wedding photography when booked 12 or more months in advance of a couples wedding day. Boca Raton offers a variety of options for engagement photography in preparing for your upcoming Boca Raton Wedding. Boca Raton has a variety of parks and beach front to provide the exact ambiance to your engagement photography session. Couples sometimes opt for sunrise engagement photography sessions along Boca Raton Florida's scenic beach front or afternoon engagement photo sessions in beautifully landscaped parks throughout Boca Raton. Another great option for engagement photos is in Misner Park with it unique architecture, fountains and manicured green spaces. Couples choosing us for their Boca Resort or Waldorf Astoria Boca Raton golf and Spa resort, request us to photograph their engagement session on their spectacular property. As Boca Raton Florida's premiere wedding photography studio, we offer the ultimate engagement and wedding photography options and services throughout Boca Raton, including professional printing and custom wedding album design.